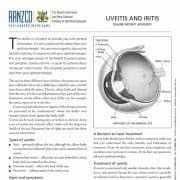 Uveitis and Iritis is an inflammation of any part of the uvea. The eye has three different layers of tissue: the protective outer layer called the sclera, the middle layer called the uvea, and the inner layer called the retina. The iris, ciliary body and choroid form the uvea. 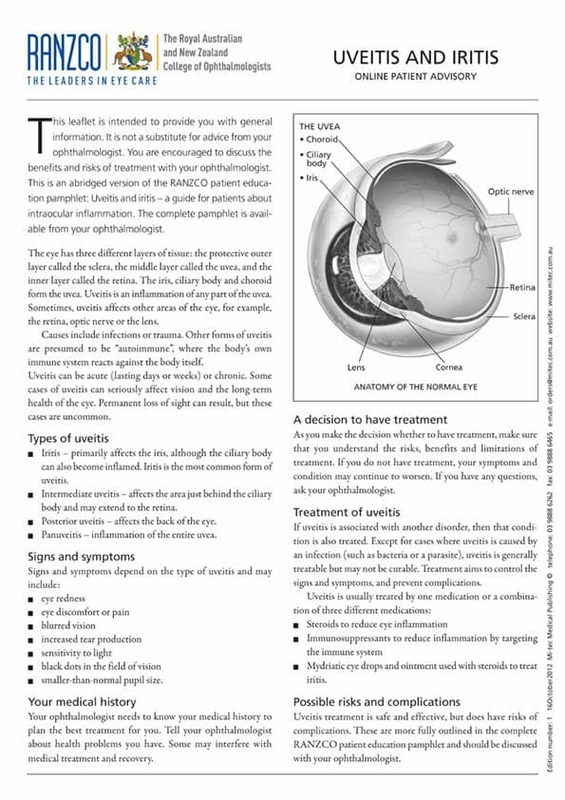 Sometimes, uveitis affects other areas of the eye, for example, the retina, optic nerve or the lens.